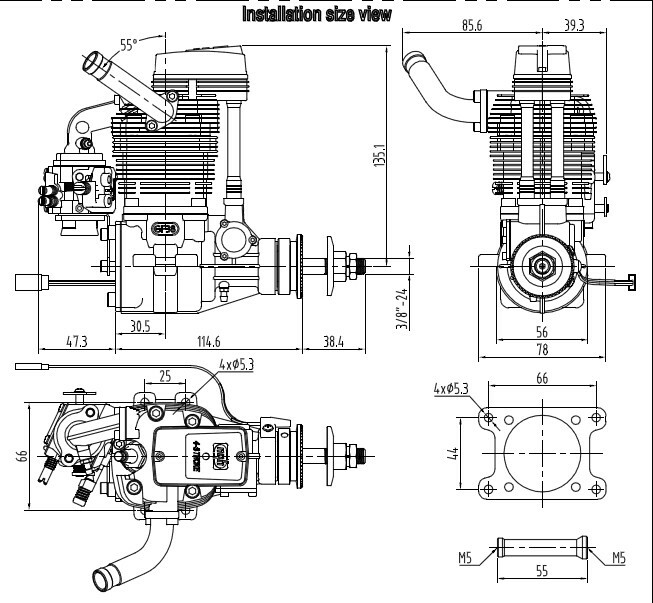 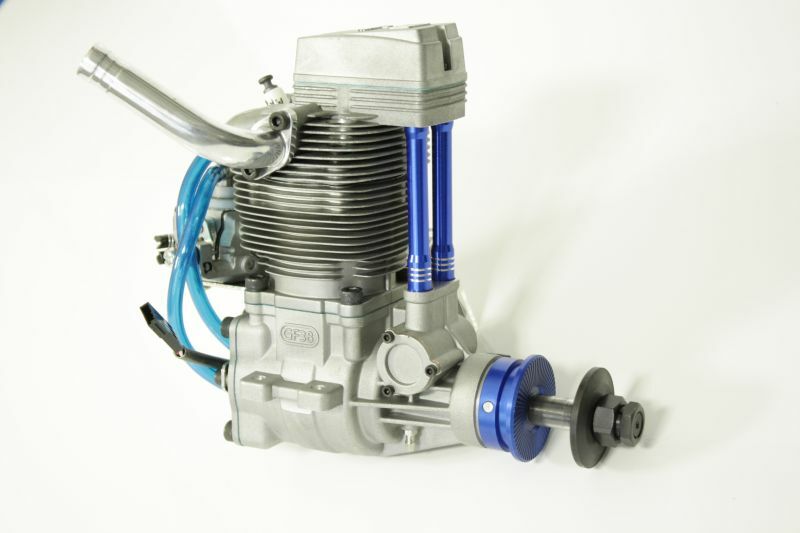 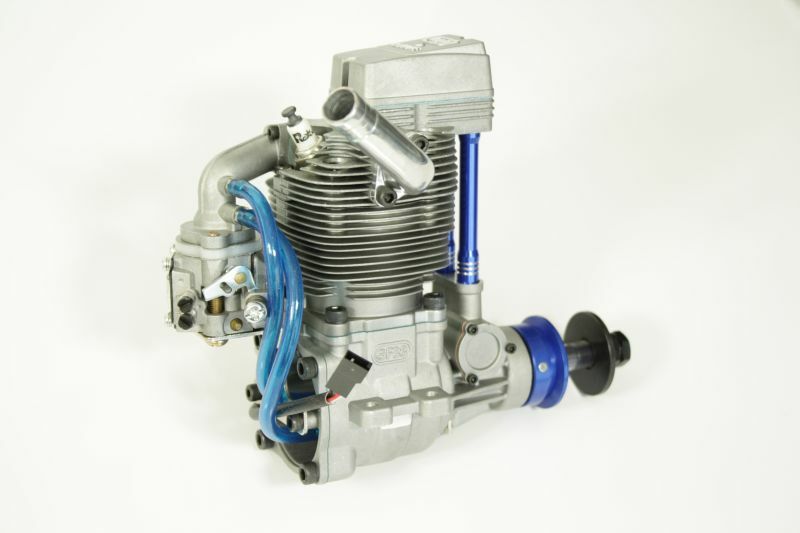 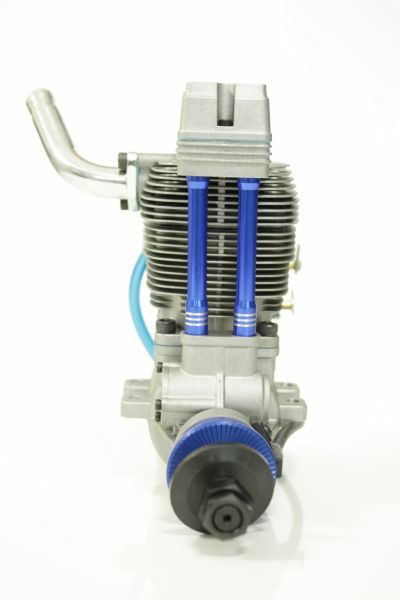 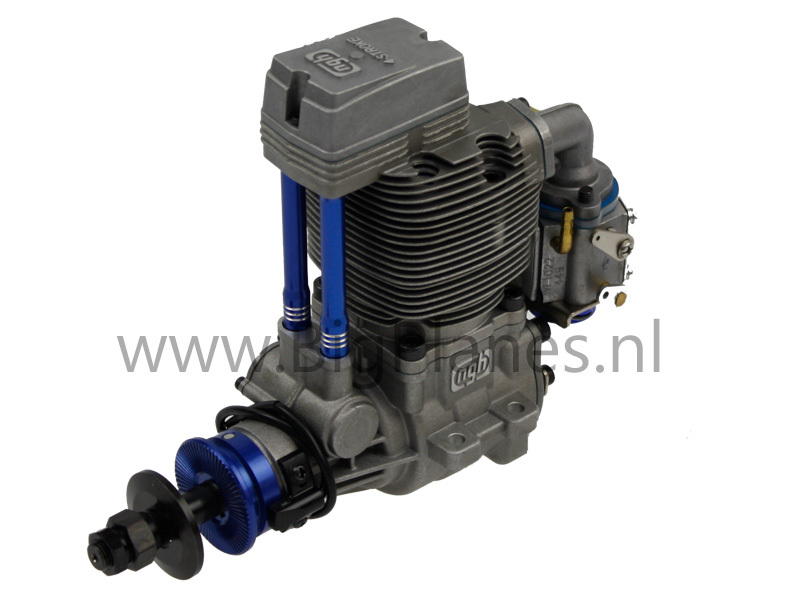 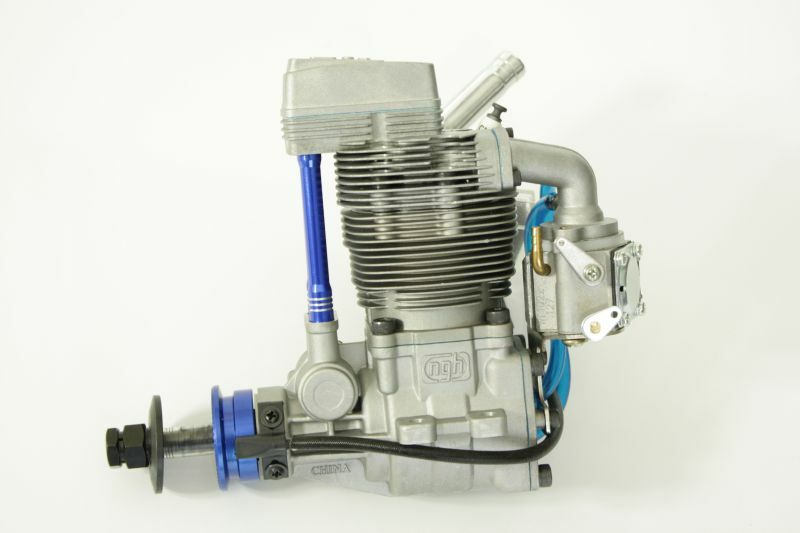 GF38 4-Stroke Gas Engine with side exhaust. 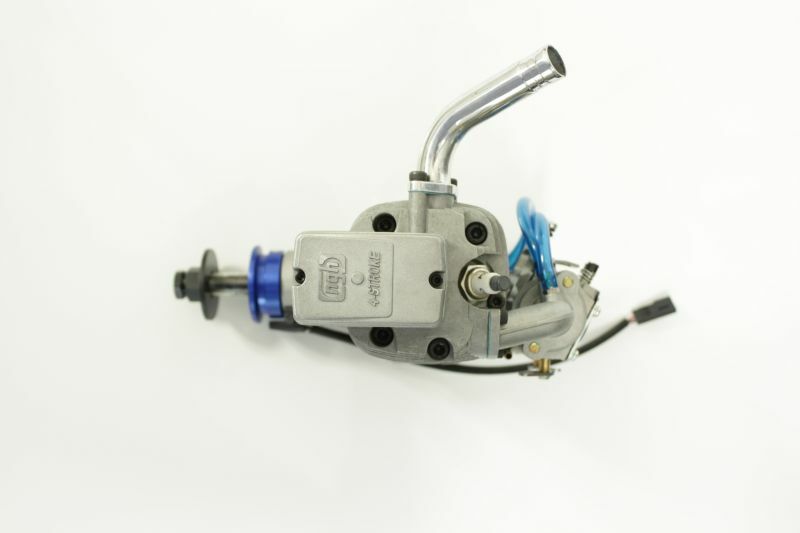 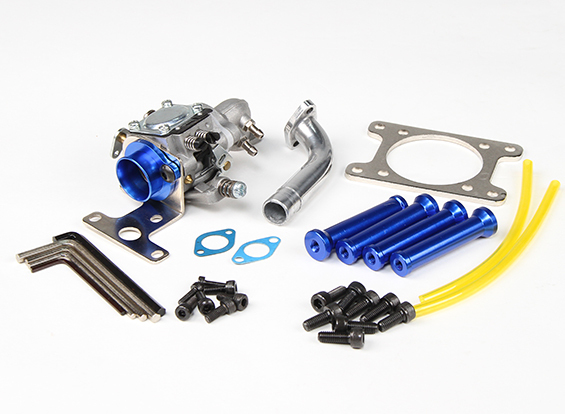 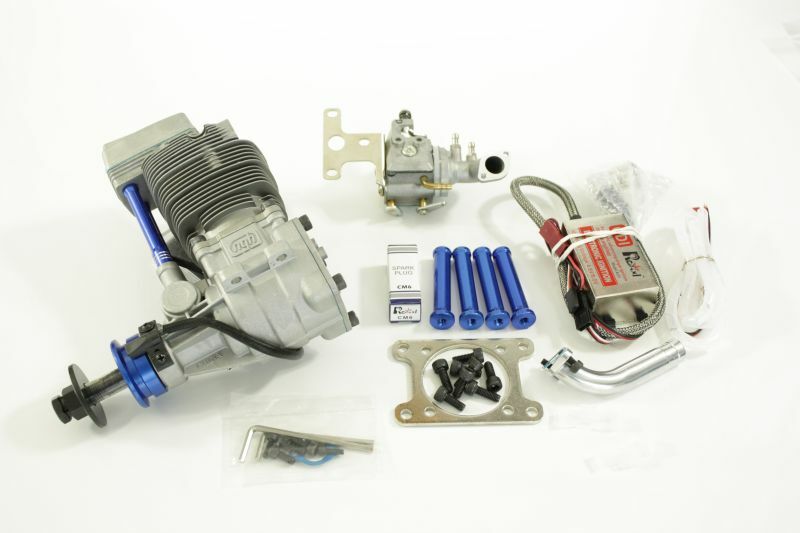 Delivery includes: spark plug, ignition and basic exhaust pipe. 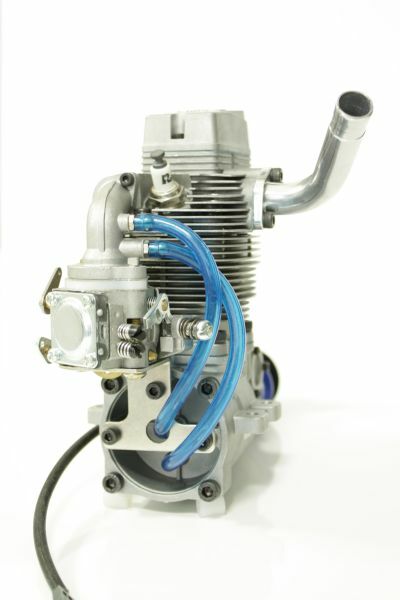 The blue air intake is part of the delivery.